For the first time after the 1979 Revolution, a huge collection of Iran’s National Museum is on display in the Netherlands. 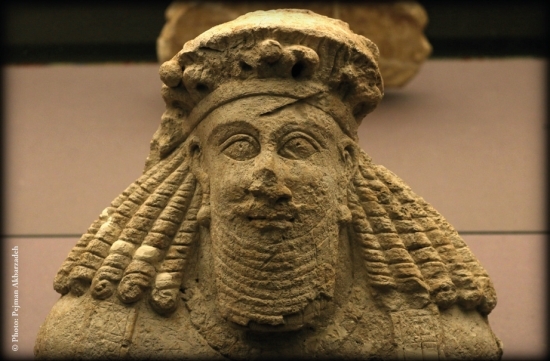 The archaeological exhibition “Iran: Cradle of Civilisation” is organised at Drents Museum in Assen. It is a rare opportunity to visit nearly 200 ancient Persian artefacts from 10.000 BC to 1700 AD: cuneiform clay tablets, gold beakers and ornaments, bronze weapons and beautifully painted ceramics which will guide you through the history of one of the oldest cultures in the world. From the very beginning – the earliest development of agriculture and livestock farming – to the civilisation of the Elamites, the Persian Empire and the Islamic period. The Drents Museum and Iran’s Cultural Heritage Organisation are jointly presenting masterpieces from all those different periods from various findspots in Persia and on loan from the National Museum in Tehran. Many artefacts of the exhibition have long been hidden from the Western world. Many of them have never been exhibited in the Netherlands before, and have even never been on show outside Persia before. One by one the exhibited objects will illustrate the highly developed culture, refinement and wealth of the successive Persian kingdoms. The powerful Persian Empire (559-330 BC), larger than the Roman Empire at its greatest expanse, is featured prominently in the exhibition. It is symbolised by the enormous victory relief dating from around 520 BC that King Darius I had carved in a 66-metre high rock at Bisotoun, along the ancient caravan route from Babylon to Central Asia. With its inscriptions in three languages (Elamite, Old Persian and Babylonian) it magically records the foundation of the new Persian Empire. A life-size copy of this relief measuring 15 x 6 metres will be on show at the exhibition. Iran – Cradle of Civilisation is the latest in a series of major international archaeological exhibitions with which the Drents Museum aims to distinguish itself. WBOOKS has published a lavishly illustrated book to accompany the exhibition. Although various mistakes exist in the text and maps, the book is still an informative source for those interested in the history of the ancient Near East, in particular Persia/ Iran. The last time a collection of Iran’s National Museum was presented in the Netherlands dates back to 1962. At that time The Hague City Hall Museum organised the exhibition, “7000 Years of Persian Art.” The main supporter of the exhibition was Prince Bernhard, and the Shah of Persia sent a message for the opening as well.